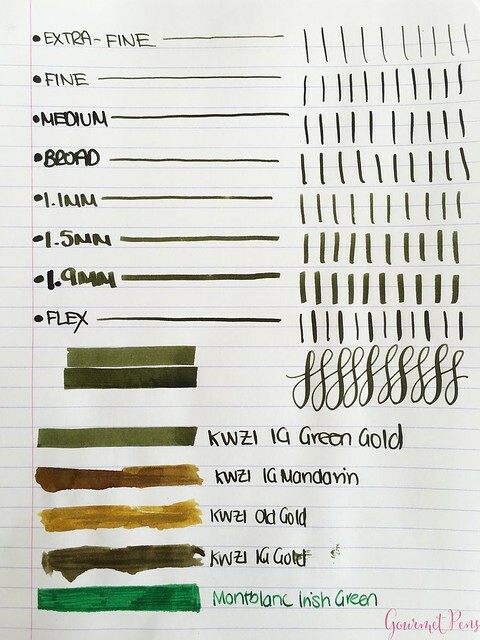 Thanks to KWZI for sending this ink sample for a review! Interesting, attractive shade from start to finish. 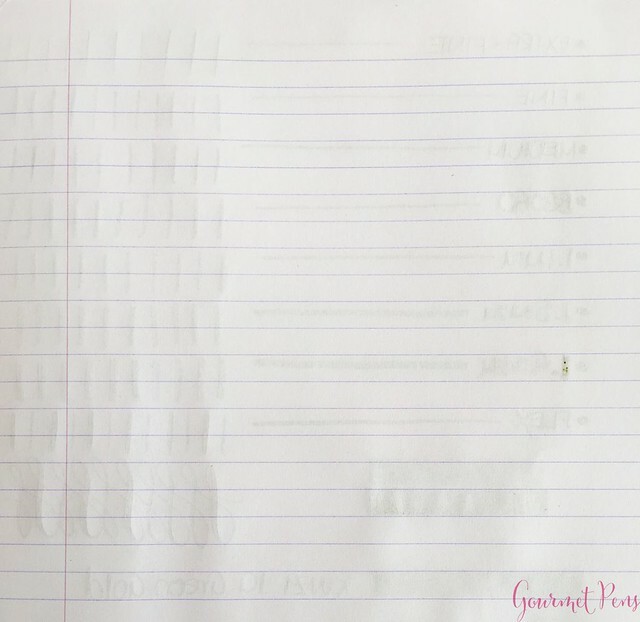 Looks even better when it's totally dry. 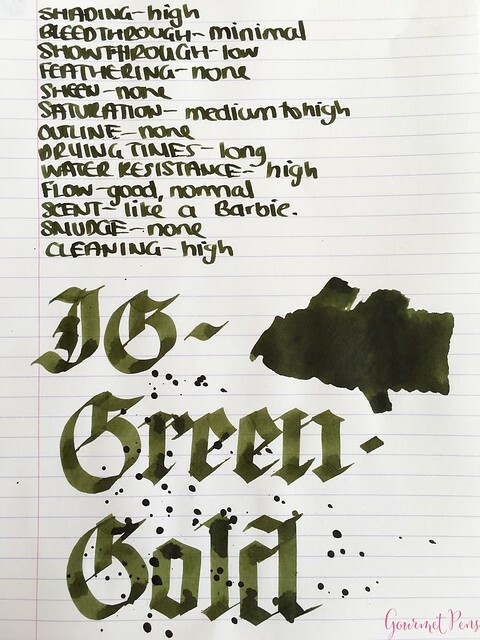 Relatively easy to clean for an iron-gall ink. 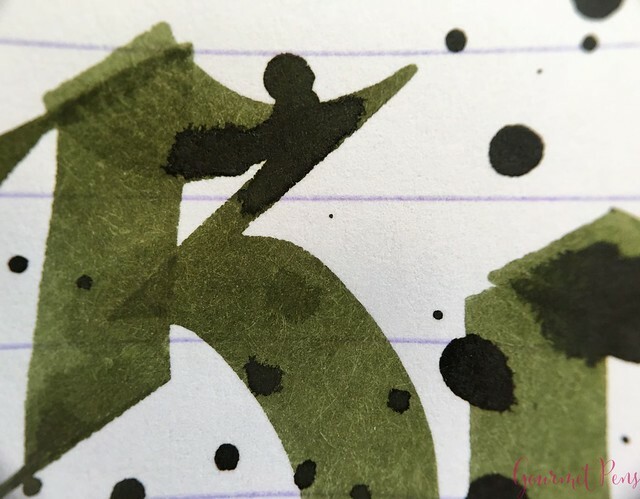 I tend to think Iron-gall inks require more maintenance and cleaning for your pens. Just to be on the safe side. 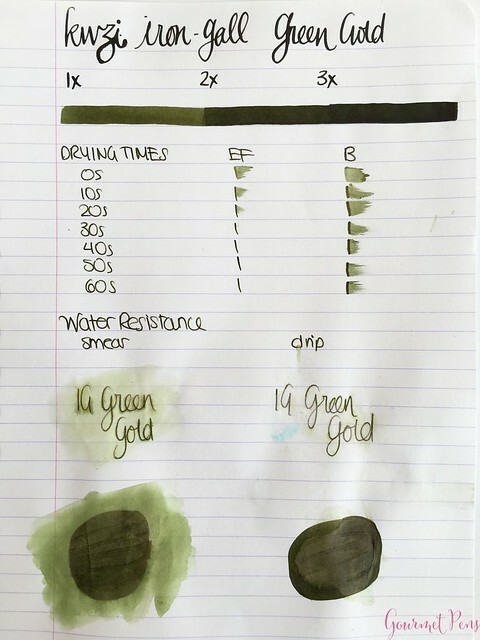 Green gold is a great option if you need a more interesting iron-gall ink. 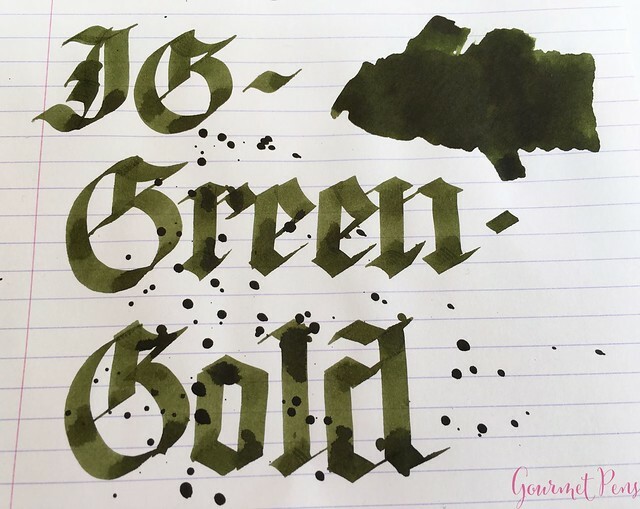 It's not my absolute favorite color ever, but I don't use iron-gall inks unless I really need one. In that event, this is an interesting color. It definitely will hold up against water!